Enduro 1 Ivan Cervantes delivered on his promise to attack from the word go, but Marc Germain (F – YAM) was snapping at his heels all day. Cervantes managed to stay ahead by averaging a couple of seconds lead on each special test, finishing with just under 20 seconds in hand at the final check. “I feel absolutely fantastic, I've had the perfect weekend and with Simone having a bad day after his crash, I am beginning to think a little about the championship now. Winning all four races in my home country has given me a huge boost and I am already looking forward to the next GP” said the delighted Spaniard. Germain was philosophical and remarked “I rode as hard as I could today finishing even better than yesterday, but Ivan was simply too fast” Sadly, despite his excellent results, Germaine is doubtful for the next Grand Prix because of budget restraints within his team. 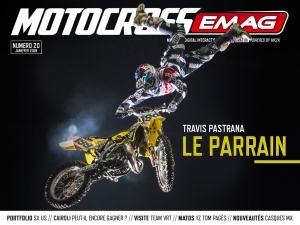 He intends to return in style in Digne, France in July. 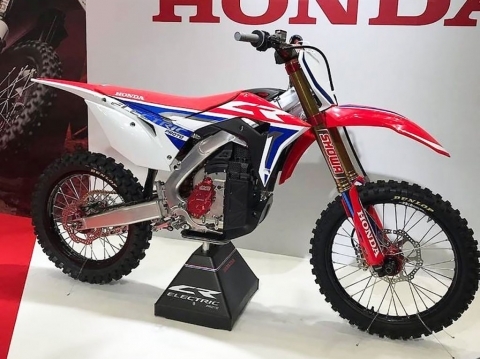 With Simone Albergoni (I – Hon) having a big crash costing him over 30 seconds on the first test of the day, Cervantes team mate Alessandro Belometti (I – KTM) claimed a popular third albeit some distance behind the first two. Enduro 2 Stefan Merriman promised to return in Gernika and he certainly left no doubt of his ability to deliver right at the top level. Despite thinking Fabien Planet (F – KTM) may catch him in the drier conditions found on day two, exactly the opposite happened. “I'm riding each race as it comes now so I don't have to worry about the championship, but all the others do. Perhaps that worked in my favour today” said Merriman at the prize giving. ‘Planet Hollywood' was delighted to finish second on the podium again and confirmed that due to his recent excellent form, he now receives full support from KTM France, which is adding to his speed and confidence. “I really respect Stefan, so to be battling with him for the lead is amazing” said the modest Frenchman. Samuli Aro (SF – KTM) claimed third but he was hurting badly after his huge crash on day one and he battled throughout the day with a stiff upper body proving once more, that the WEC's reputation as a series populated my tough men is not just a rumour. Like his team mate Cervantes in E1, David Knight was determined to continue his 100% finishing record in Enduro 3 and he delivered, much to the joy of the KTM Farioli Team. In fact the complete E3 podium was a repeat of day one. In Parc Ferme Knight said “I made a few errors this, morning when I overshot a couple of times and then I nearly hit a stray animal, I think it was a fox, but from the end of the second lap onwards, I really got into it and I'm chuffed about my championship lead.” Once again Knight excelled on the all-important Xtreme Tests and only Merriman in E2 seemed capable of equalling his performances there. KTM team mate Marko Tarkkala (SF – KTM) was second and Sebastian Guillaume (F – Gas Gas) third although both riders were some distance behind the dominant KTM rider. 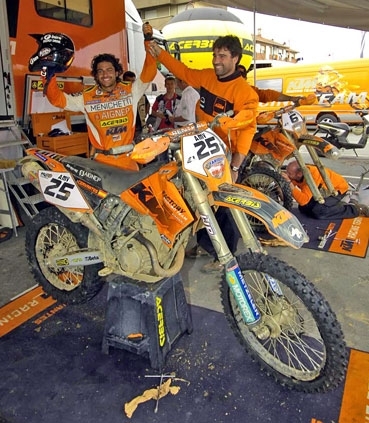 Enduro Junior saw Cristobal Guerrero's (ESP – Gas Gas) superb 100% record of Grand Prix wins come to a sad end. The ultra-talented young Spaniard aggravated an old leg injury on the first Enduro Test of the day and was taken to hospital as a precaution. 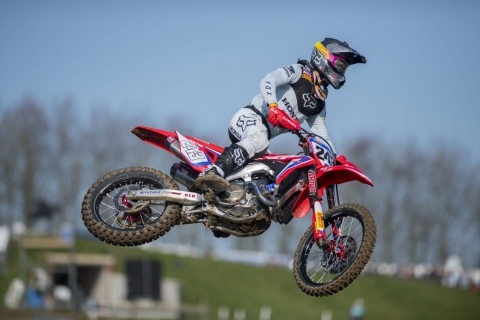 Due to the Enduro Junior championship points scoring system of the best six Grand Prix results to count, Guerrero's retirement would not be as damaging as one made in the major classes. His demise however was great news for Daryl Bolter (GB – HVA) who scored his best ever result coming on the back of his previous best ever result on Saturday! “To win my first Grand Prix is really something – I've enjoyed every minute of this weekend and this is just the icing on the cake.” said Bolter after the race. 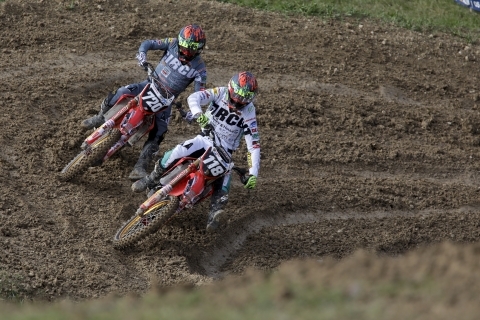 Frenchman Marc Bourgeois (F – HVA) improved his day one position to claim second and Oriol Mena (ESP – Gas Gas) took the final podium position as a consolation for the Factory Gas Gas team. Don't forget that you can watch all the highlights from this weekend's AMV Euskadi Grand Prix on Motors TV commencing on Thursday 9th June. Go to www.motorstv.com for full programme information. 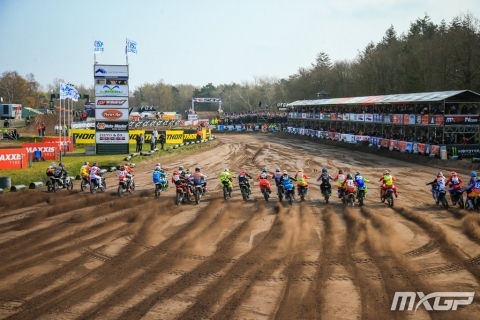 The next round of the Maxxis FIM WEC is on the 2nd & 3rd July at Most in the Czech Republic. Results and graphic analyse : click "News > Results"